Hobi said this has being accomplished by adding a variety of dance classes to the group fitness classes already offered by the college. Classes being offered include Ballet I, Theatrical Dance, Power Dance, Social Dance and West Coast Swing. The Ballet I class follows a traditional ballet format, Hobi said, and can provide physical conditioning to the core and lower body. The class meets at 4:30 p.m. Tuesdays. She said the Theatrical Dance class centralizes all dance techniques used in theater. It is grounded in ballet and contemporary dance techniques. Hobi said it is the only class in which previous dance training (in ballet, jazz and/or modern dance) is suggested. Classes are held 6:30 to 8 p.m. Mondays and Wednesdays. The Power Dance class consists of contemporary jazz as well as strong dance moves and dance conditioning, including foundational gymnastics for acrobatic dance, Hobi said. No prior training is necessary for the class, but space for the class is becoming limited. The class meets from 6:30 to 7:25 p.m. on Tuesdays. The Social Dance class, originally teaching Latin and country dance, will start a new series in two-step and West Coast Swing April 28. The class meets from 7:30 to 8:45 p.m. Tuesdays. The West Coast Swing class advances upon the foundations learned in the Social Dance Class. Instructor permission is required before starting this class. It meets on from 7:30 to 8:30 p.m. Thursdays. Performance groups stemming from the Power Dance class (OKC Dance Crew) and Theatrical Dance class (Dance Theatre OKC) also have been formed, and require no additional performance fees, Hobi said. Classes are $15 for every five class periods. 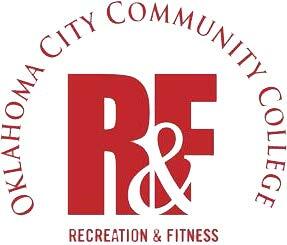 For more information on these classes, contact Hobi at elizabeth.hobi@gmail.com, or for all group fitness classes, contact Health and Fitness Specialist Carole Valentine at carole.m.valentine@occc.edu or 405-682-1611, ext. 7662.